At some point, nearly all of us will experience a personal or business dispute. When these disputes escalate, resulting civil lawsuits can be costly, time-consuming and damaging to the reputation of both parties. At Bellotti Law Group, P.C., our civil litigation attorneys focus on resolving these cases quickly and efficiently, keeping our clients' best interests as the main priority. We swiftly identify the issues and immediately begin tailoring a unique plan to best achieve our clients' goals. A declaratory judgment often follows intricate, complex and technical litigation, where a court defines legal rights, duties and obligations between parties in a civil matter. We have obtained a number of declaratory judgments in our clients' favors, limiting (if not entirely eliminating) our clients' liability and financial responsibility in a wide range of matters. Insurance policies and denials/limitations of coverage, in particular, are often at the center of a declaratory action due to their intricate nature and technical language regarding their scope, commencement, duration, geographic coverage, exclusions and other provisions that are in place to limit or void coverage in certain circumstances. Further, insurance providers' heavy reliance on representations of insureds often limits the rights, duties and obligations created under the insurance contract. Additionally, the facts surrounding a particular losses and the conduct of insureds before, during, and after a loss and subsequent claim often influence a court's decision. One of the insurance industry's most costly and challenging issues is combating no-fault fraudulent claims. Our Boston civil litigation attorneys have met these challenges, and have defeated a wide array of fraudulent claims brought against insureds and insurance providers. We have successfully defeated a number of fraudulent bodily injury claims, fraudulent property claims, staged accidents, unreasonable and/or unnecessary medical treatment for alleged bodily injuries, and a wide array of other claims. We have amassed a record of success handling many different types of insurance coverage, including commercial and personal property, automobile, personal liability, umbrella coverage, commercial general liability, construction liability and others. Insurance companies owe their insureds a duty of good faith and fair dealing, under each insurance contract. If this duty is breached, the insured policyholder may have an actionable claim against the insurance company. We have successfully handled a number of bad faith claims and employ cost-effective strategies to help insureds recover what they are contractually owed. Whether it is through skilled negotiation, alternative dispute resolution such as mediation or arbitration, or at trial, our skilled attorneys and resources allow us to handle the most complex insurance coverage cases. In addition to employing skilled settlement negotiations and meticulously preparing to litigate in court, all the way to trial when necessary, our civil litigation attorneys are also actively engaged in various forms of alternative dispute resolution, when it will be in the best interests of our clients. ADR can have a number of advantages for clients, including being cost-effective means to resolve civil claims, a method of exploring a variety of legal avenues available to the client, neutral evaluation of claims and other tangible benefits. Our vast experience, sharp legal acumen and history of successful case resolution are attributes clients can rely on in these and all other types of civil actions. Our attorneys are widely acknowledged in the Massachusetts legal community for their success in court and for their aggressive, efficient and successful resolution of complex civil matters. Our reputation as a trusted resource has led to many other attorneys seeking advice from our firm when they face a complex or challenging legal issue. 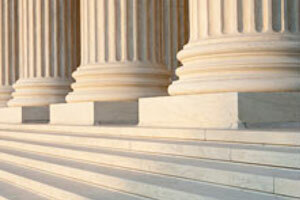 We have also successfully resolved numerous cases that have been rejected by multiple attorneys. For more than two decades, our detail-oriented approach to litigation has served clients well and led to thousands of successful results for our clients. At Bellotti Law Group, P.C., we are focused on one thing: the client. The interests of each client are paramount, and our attorneys use their experience and legal knowledge to tailor unique strategies to achieve each client's goals. Our attorneys are zealous advocates who maneuver every case with the keen awareness of its potential advancement to trial. We take the time to conduct extensive investigations and aggressive pretrial discovery, leaving no stone unturned in the preparation of a case. We work under the anticipation that each case will be litigated, and have successfully argued before countless judges in courts throughout Massachusetts. We are unyielding in our pursuit of one goal: maximizing our clients' interests and reaching a successful resolution to their cases. We have the experience to make critical decisions quickly to ensure that your rights are protected and your every available option is carefully considered. Our attorneys also know that going to trial is not always in our clients' best interests. We use a wide variety of litigation tools in different forums to best suit your case, including negotiation, alternative dispute resolution (arbitration and mediation), bench trials and jury trials. We are often able to secure a favorable settlement for our clients without litigating, but are always scrupulously prepared to fight in court if the client's interests are not maximized. We are relentless in our pursuit of a favorable resolution, while minimizing the cost exposure of our clients. At all stages of the litigation process, our attorneys keep clients informed, provide continual case evaluation and advise clients of their existing options. The attention and dedication given to every client is evident from the initial meeting until the matter is resolved. Don't face the legal process without putting the experience, skill and relentless dedication of our civil attorneys at Bellotti Law Group, P.C. to work for you. Make no mistake — we are not satisfied until our clients' interests are maximized. Contact our Boston, Cambridge or Quincy office today at 617-225-2100 to discuss your options. We serve all of Massachusetts and Southern New England.